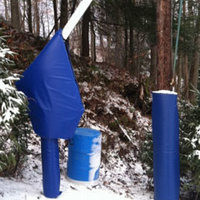 Tube Pro is the industry leader in snow tube manufacturing. We have produced our famous hard bottom snow tubes for almost 20 years, revolutionizing the industry and setting the standard in quality and product longevity. Our focus on safety has led to the development of countless safety initiatives. Call us today to experience our wealth of knowledge and design in the tubing & padding Industry! Offering an extensive line of heavy-duty PVC and rubber river tubes, covers and custom features such as logos, seats, pockets and links, Tube Pro certainly has a tube product for you! We offer tubes designed for all river conditions and we design our products with tube/trailer transportation efficiency in mind. 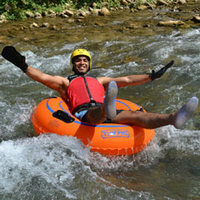 We manufacture our superior quality waterpark tubes using advanced 30-40 gauge K80 PVC. 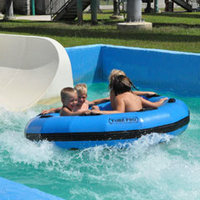 Tube Pro tubes are very abrasive resistant for the perfect ride down your slide, lazy river or wave pool. In addition, our heavy-duty tarpaulin PVC rafts and North American made slide mats will also live up to your expectations at a very economical price point. 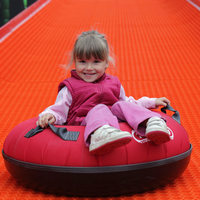 Tube Pro Safety Padding is made to last and withstand the harshest of outdoor environments. Keeping with our tradition of using the best materials available, all stock models are made using our custom blend of closed-cell waterproof foam and durable pad covers come in a multitude of colors. Our Safety Padding experience goes beyond ski resorts, zip line and rope course operations, and extends to a variety of automotive and industrial industries. Tube Pro PoloSport is specifically designed for varsity inner tube water polo applications. The smaller outer diameter allows players to capitalize on their game maneuvering and stability in the water. To maximize player comfort our water polo tubes are manufactured with smooth inner seams and water polo tubes DO NOT have handles, which can interfere with player mobility.